The good news keeps on rolling in. After a brief dip in the middle of the week, the total market cap consistently climbed to finish off at $143.3B. Calculating from last Friday’s cap of $140.4B, the market grew a healthy two percent this week. And, several coins blew that growth out of the water. The Basic Attention Token rose 43.63%, Ravencoin jumped up 44.79%, and EOS and Cardano surged 17.92% and 20.27%, respectively. Our top three coins weren’t as successful but still managed an alright week. Bitcoin’s price ticked 1.36% upward. Ethereum led the pack with a 2.10% gain. XRP couldn’t keep up, losing 1.67% over the last seven days. 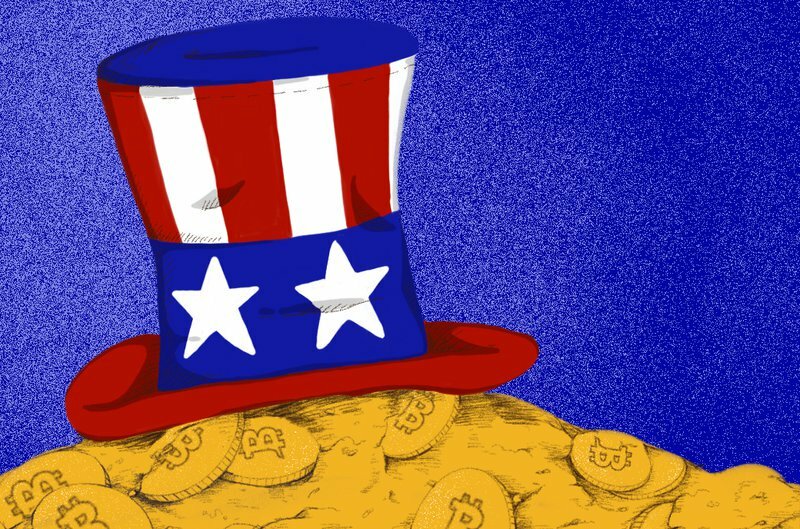 Report Forecasts Big Blockchain Spending: TechInsight360 released a report titled the United States Blockchain Business Opportunities and Outlook Databook Series (2016-2025), this week with some favorable predictions on upcoming U.S. blockchain spending. The highlight of the report: Blockchain spending is expected to reach…drumroll, please…$41.11B by 2025. If the prediction proves accurate, that would mean blockchain spending growth of almost 2,400 percent in just seven years. Although this amount of growth seems farfetched, the amount of spending grew 110.1% in 2018 alone. When you factor in a resurgent bull market and a more mature market, the forecast starts becoming more reasonable after all. Another Scam Bites the Dust: Welp, you can now add Daniel Todd Levine to the ever-growing laundry list of bitcoin scam artists. The Englewood, Colorado broker recently signed a letter from the Financial Industry Regulatory Authority (FINRA) agreeing to a ban from the securities industry. Levine allegedly performed several acts of misconduct including the execution of unauthorized trades. The crux of the scandal, however, involved a bitcoin operation with his brother, a U.S. fugitive. Apparently, Levine’s brother “bamboozled” him into believing that he could purchase bitcoin at a 60 to 90 percent discount from a seller in Europe. After Levine wired over $1.5 million of clients’ funds, the brother disappeared. Levine has since repaid a portion of the lost funds, although the specific amount is unknown. It wasn’t all negative talk, though. Both CEOs still believe in the technology long-term and their respective companies have significant investments in blockchain ideas. Bitcoin Money Laundering: How to Stay Safe in CryptoLand: Crypto is a haven for money laundering. Here are some of the ways that criminals are stealing bitcoin and laundering them clean. Interview with Michael Meisler, EY Global Blockchain Tax Leader: EY is no stranger to taxes, and the company’s blockchain tax leader has some advice for all you investors out there. Top Crypto Debit Cards in 2019: You can only HODL for so long. We researched the top debit cards you can use to spend your crypto stash. The Complete Guide to Blockchain Advertising: We help you navigate the bans, whitelists, and resources of the, often complex, blockchain advertising space. Robinhood Crypto Review | How Does This Exchange Compare? : Robinhood is killing it in traditional finance. But how does the fee-free exchange stack up for crypto? South by Southwest 2019 Cryptocurrency Recap: Editor-in-Chief Alex Moskov gives a recap of his chaos-filled, 10-day SXSW experience. Derek Capo on TokenPay, Partnering with the Litecoin Foundation and Spearheading Crypto Adoption: TokenPay recently partnered with the Litecoin Foundation; we spoke with the project’s CEO to learn more. [SPONSORED] Obsidian Bot on Automated Cryptocurrency Trading and Bot Creation: We sat down with the Obsidian Bot team to learn what it’s like to run a crypto trading bot company. Bitwise Uncovers the Fakening: A recent Bitwise presentation to the U.S. Securities and Exchange Commission (SEC) revealed several instances of falsified trading volume across worldwide exchanges. While well-known exchanges such as Coinbase Pro and Kraken came up clean, smaller ones like CoinBene and OKEx have multiple examples of suspicious activity. Overall, the report concluded that only 10 out of the top 81 exchanges report accurate volume numbers. Bitwise argues that although exchanges reported around $6 billion in trading volume over a 5-day period, the number is actually closer to $273 million – just 4.5% of the original number. All the Palladium in Russia: Russia’s richest man and the world’s largest Palladium producer is planning on tokenizing atomic number 46. Vladimir Potanin is working with Swiss authorities to iron out the details of implementing tokens for his Switzerland-based Palladium fund. Potanin defends his upcoming move, citing that “transactions in tokens are simpler and more convenient” than traditional means. Unfortunately, Russian laws at this time make the tokenization difficult. Potanin and his team hope to coerce lawmakers to change the rules in the upcoming April hearing. The post This Week in Cryptocurrency: March 29, 2019 appeared first on CoinCentral.